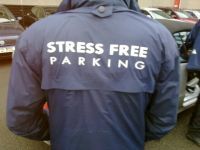 Analysis of the parking habits of travellers at British airports in the last 12 months has shown a growth in the share of the market for meet and greet parking – the sector took a 9.6% bigger slice of the overall airport parking market. One of the aviation world’s longest running partnerships will come to an end at the completion of the winter season's flights next March. 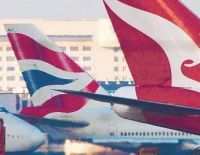 Qantas has ditched British Airways after 17 years although the relationship goes back much further, a full take-over by BA once considered. The privatised Australian flag carrier has agreed to a 10-year alliance with Emirates, in an effort to shore up its loss-making international business. 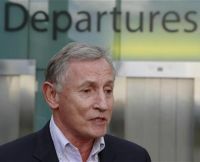 Steve Ridgway, the amiable Virgin Atlantic (VS) Chief Executive, announced his retirement yesterday (Sunday 9 September) after a 23-year career with the airline. It is very much a soft departure with no date fixed, “Spring 2012” noted by the airline. This will allow for a straightforward takeover of responsibilities and a structured search for his successor. The Holiday Inn Express Rio Branco in Brazil has broken ground. 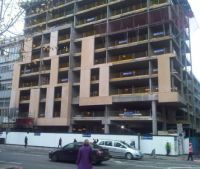 The new-build hotel is scheduled to open in late 2013, in time for the forthcoming FIFA World Cup in Brazil. Although in the North West of the country the hotel is well away from all the stadium venues. 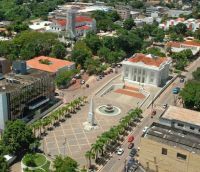 Its importance is that it lies on the Transoceanic Highway, a major project to connect Rio Branco and the two main ports of Peru. The British Prime Minister David Cameron last week announced a series of ministerial changes that will affect the business travel industry. Out goes Justine Greening (retaining her Cabinet position of Secretary of State for International Development) and Theresa Villiers (now Northern Ireland Secretary). 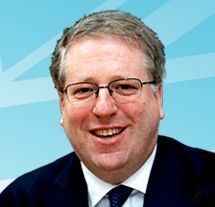 They are replaced by former miner Patrick McLoughlin (C Derbyshire Dales) as Secretary of State for Transport, allegedly not a keen flyer. He has previously served in the same department as an Under Secretary in the last years of Mrs Thatcher’s government. Minister of State, responsible for aviation, rail and London Transport, is now the somewhat controversial Simon Burns (C Chelmsford) who in June 2010 was forced to issue “a grovelling apology” after calling Commons speaker John Bercow a "stupid sanctimonious dwarf". This publication is ambivalent when it comes to a new London airport. 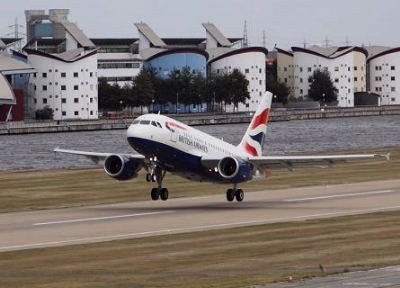 We can see merit in Boris Johnson’s argument for a four-runway operation in the Thames Estuary (and the very interesting Foster scheme) but we wonder just how long it will take. The finance could be found. London’s Mayor is not opposed to an expansion of Stansted either but the mass transport links would need to be vastly improved. London is to gain four more Accor hotels in October; a Novotel and ibis in Blackfriars, a second ibis in Shepherd’s Bush and a new addition to the growing Mercure portfolio, opening in Greenwich. easyJet (EZ) has taken another step forward with its (slight) repositioning in the market place by introducing allocated seating. No longer will EZ passengers need to deal with the undignified scramble for seats. 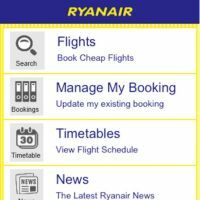 The only losers are likely to be last minute business customers, previously Speedy Boarding (SB), who normally expect to sit towards the front and will now have to take what is on offer. The new arrangement will be fully implemented across the system by the end of November 2012. Already booked SB passengers will be emailed and asked for their preference. The opening of Berlin's new airport, Willy Brandt Brandenburg International, has been further delayed until the opening of the airlines' winter season 2013/2014, now officially on 27 October next year. In the 21st century, building an airfield is far more complex than in 1946 when the first aircraft landed at Heathrow without proper air traffic control. Post show research following last year’s EIBTM confirms that 57% of Hosted Buyers organise business travel. Organisers Reed Travel Exhibitions are to provide a specialist exhibitor pavilion at this year’s show 27-29 November (see BTN 13 August). There will also be a series of dedicated education sessions provided by the Association for Corporate Travel Executives (ACTE). The new Pavilion at EIBTM will provide a dedicated meeting area for exhibitors to showcase their products to visitors and Hosted Buyers with a responsibility and proven budgets for corporate and business travel. 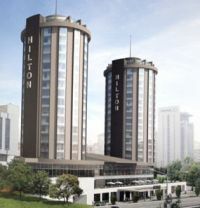 Hilton Worldwide is to open its first branded property on the Asian side of Istanbul in Autumn 2013. Hilton Istanbul Kozyataği Conference Center & Spa joins a fast growing portfolio of 40 hotels across Turkey that are either currently trading or under development. Hilton has been established in Turkey since 1955. By the year end New York will have an operating inventory of over 93,000 rooms in its five Boroughs. This compares with 120,00+ for London, 80,000 Paris (city + 50,000 in the region) and 140,00 Las Vegas the accepted figures. 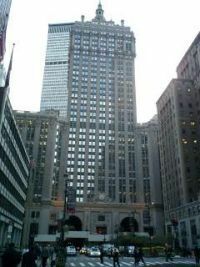 The New York total is expected to reach 100,000 during 2014. New York City says that it is poised to add more than Orlando, Washington, DC and Chicago combined. 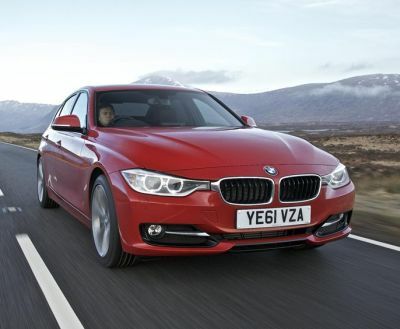 Latest BMW 3 Series – Desire Factor DNA! Terry Wogan likes to talk about the present Mrs Wogan. No real problems. They have celebrated 50 years. We’ve mentioned before the “Present Secretary of State for Transport”. The latest incumbent lasted just 50 weeks. And for what it is worth we are reliably informed that there are currently 26 former Transport Ministers still living. Ms Greening was a competent Minister but the wrong appointment from day one. Air India has finally taken delivery at Delhi of its first Boeing 787 Dreamliner after a dispute of several months between airline and manufacturer over compensation for a four-year production delay. The airline is the fifth carrier to take delivery of the aircraft, which was from the new Charleston facility, although the aircraft was built in Seattle. In total 21 Dreamliners have been delivered to date. 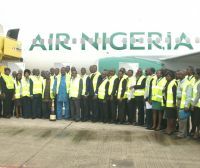 Based at Lagos, Air Nigeria has shut down due to staff “disloyalty and environmental tension”, according to the carrier. This is the latest round of a saga that started as Nigerian Eagle Airlines, became Virgin Nigeria and finally this short-lived carrier who introduced a Gatwick service in May. 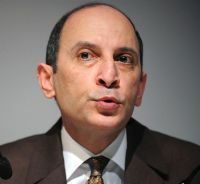 With the engaging and always interesting Akbar Al Baker, CEO of Qatar Airways, as the guest speaker, the Aviation Club expects that its lunch at the Institute of Directors on 17 October will sell out quickly. 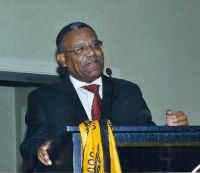 Mr Al Baker last spoke in February 2003 when Qatar Airways was a small player in the international airline game. Today it is an award winning carrier noted for the quality of its service and Mr Al Baker a member of the Board of Governors of IATA. New Aviation Club membership taken at this time is valid until December 2013. Tuesday 18 September is set to be the biggest ever Cambridge Airport UK Business and Aviation Day with a new, larger exhibition area and a record number of delegates. 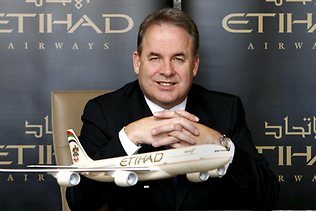 Abu Dhabi's Etihad Airways has doubled its stake in Virgin Australia in what is clearly a strategic plan to increase its global presence. 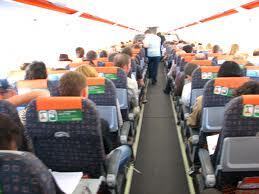 It already also holds equity investments in Aer Lingus, Air Berlin and Air Seychelles. Kooddoo Airport opened yesterday (Sunday 8 September) on the remote Gaafu Alifu Atoll, the most southerly point in the Indian Ocean's Maldive Islands. It will help reduce travel time from the capital Malé to just 45 minutes. Twice daily Bombardier Dash 8 flights will be offered by domestic carrier Maldivian. Aircell, a leading provider of in-flight connectivity equipment and services to the business aviation market, has announced that NetJets is adding in-flight its internet service to nearly 100 additional aircraft in the fleet.